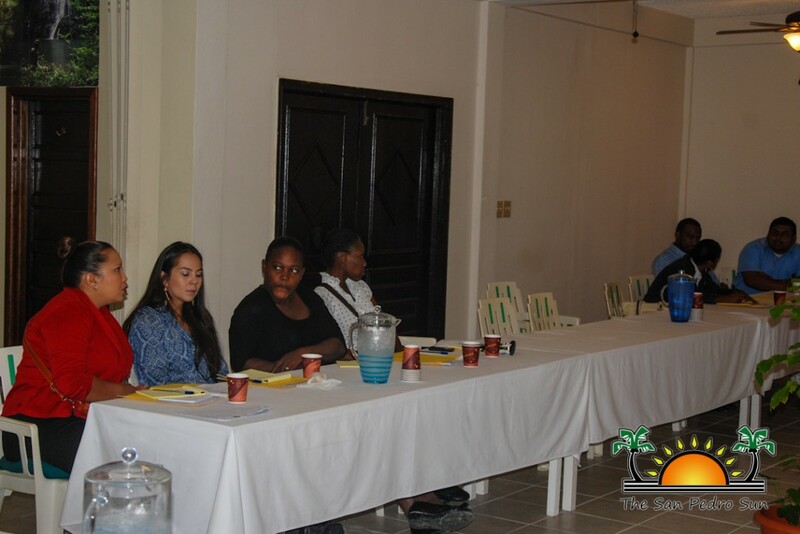 The Women’s Department of Belize under its BA1 Project along with the Child Development Foundation (CDF) hosted an awareness workshop on Domestic Violence at the SunBreeze Hotel in San Pedro Town. The informational event took place on Tuesday, December 1st and Wednesday, December 2nd, which entailed lectures about the basic concept and understanding of the impacts of domestic violence. The training also focused on strengthening the capacity of the civil society and community based organizations that work hand in hand to address violence against women, human trafficking and femicide. The seminar was also held at the San Pedro High School where students were educated on the topic. According to the project coordinator at CDF, Telesha McKay, these seminars are very important since there are a lot of people that do not know where to turn or what to do when they are being abused. “The project is getting widespread inland so now we are here on the island to speak about this delicate topic. It is not just domestic abuse; there are also victims who suffer sexual exploitation. Everyone needs to know what is there in place to assist and protect them in case of such situations like being sexually abuse, forced labor, human trafficking and being physically abused at home ,” said McKay. She mentioned that there are organizations and support groups in the community that provide the needed support for any victims. Mckay indicated that every community countrywide should have these groups in place in order to minimize the cases of abuse. Another aspect of the two day training was to inform attendees about the constitutional laws that protect and assist victims from abusive situations. “There are people out there who do not know that there are laws in our constitution and criminal conduct which protect victims from abuse. We want them to be aware that they do not have to go through it and be silent. It’s time to break the silence and seek help, and right around us, we can get help from people that have been through it and are now working to try and get others out of such horrible conditions,” ended McKay. The training revealed the existence of many institutional organizations that are ready to assist victims. There are churches where people can go and receive help as well as certain shelters that offer housing. Also assistance can be obtained at governmental institutions such as the Police Department and the Women’s Department, which has worked with hundreds of women in different aspects of their lives. 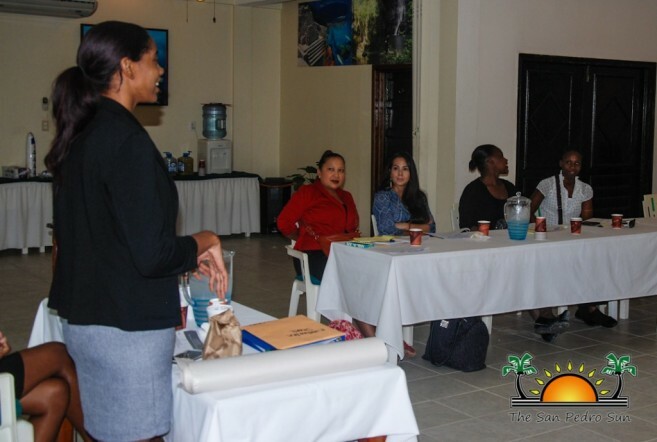 Another organization mentioned by McKay was Women’s Issues Network of Belize which is the only network of organizations in Belize whose focus is to empower women that are vulnerable to domestic violence. According to McKay, women are not alone, thus, she encourages everyone to seek help if they are in a dire situation. In San Pedro people can turn to the Police Formation for assistance against any type of harm or abuse. Organizers of the training would like to thank everyone who attended the workshops and added to their efforts to spread the awareness. Special thanks also goes to the schools and their students for participating in the educational seminars that seek to end violence against women. San Pedro Town in Celebration mood!